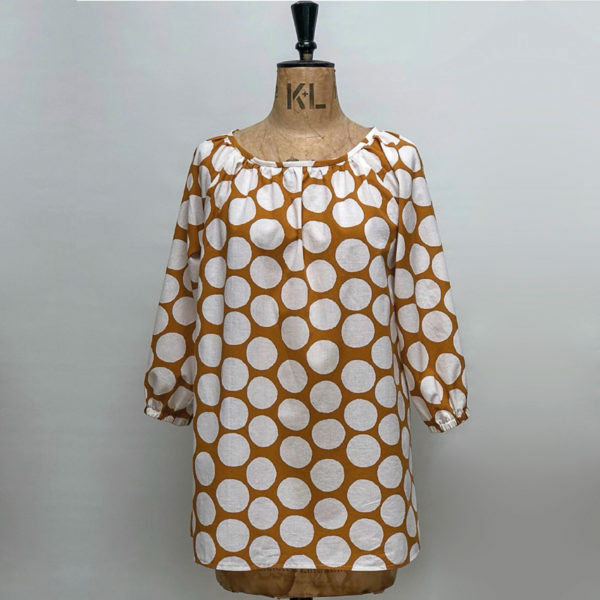 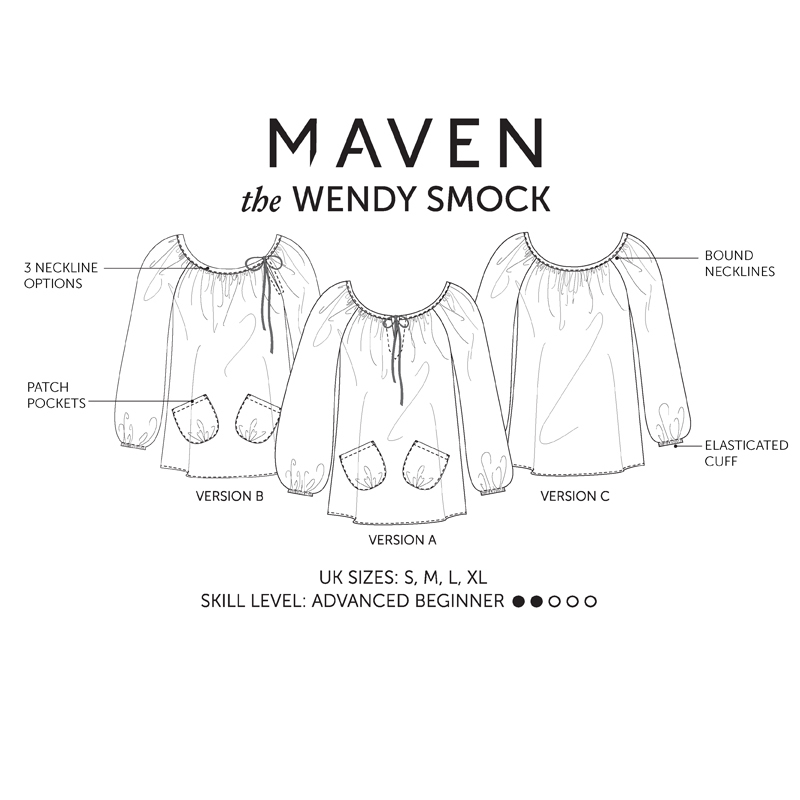 Artist inspired smock top designed to be a loose fitting light weight top with multiple sleeve & neckline options. 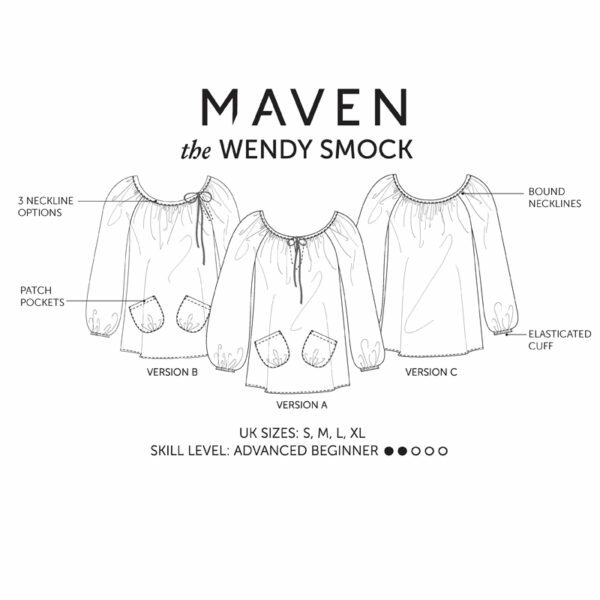 Inspired by the traditional artists smock – think Monet wafting around his garden at Giverny with brush in hand, and then refashioned for us modern creative ladies to enjoy. 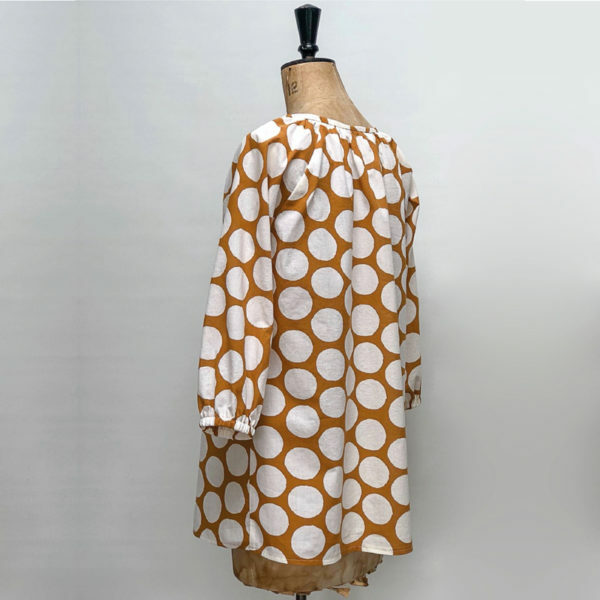 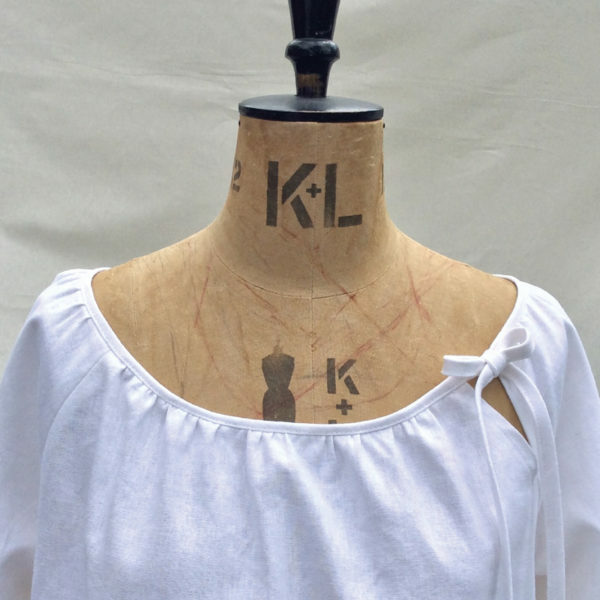 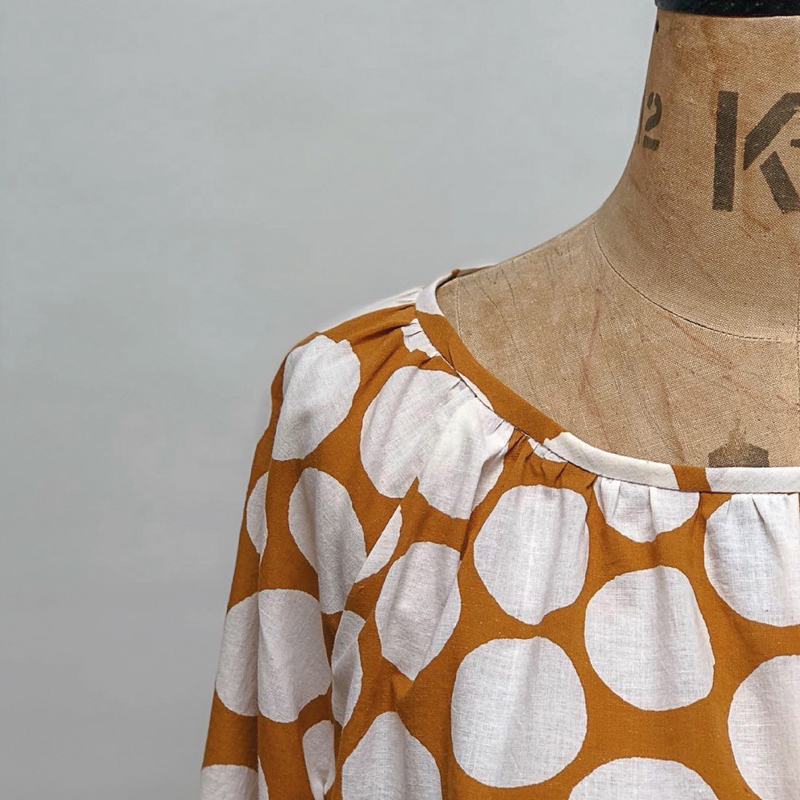 This is a versatile pattern with two neckline options: self bound with either a faced opening at the centre front or a side neck opening positioned on the shoulder seam. 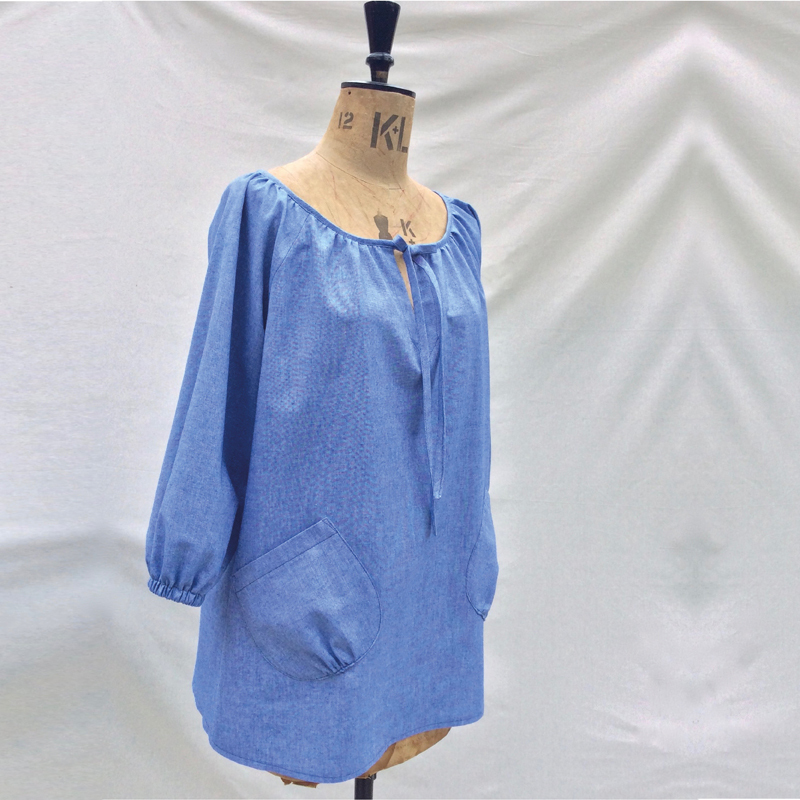 Two pretty and practical patch pockets are an easy addition. 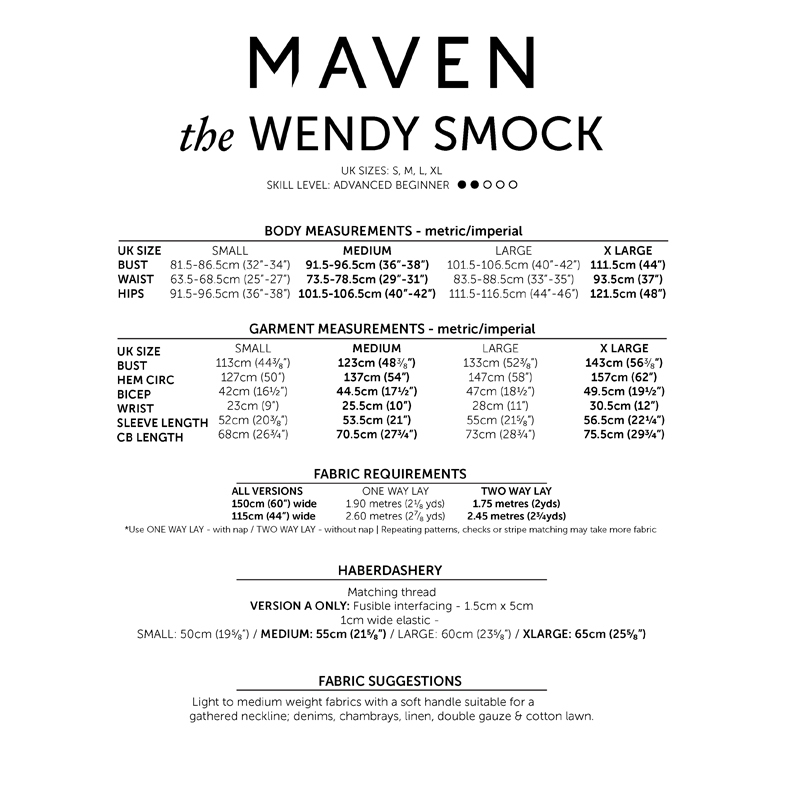 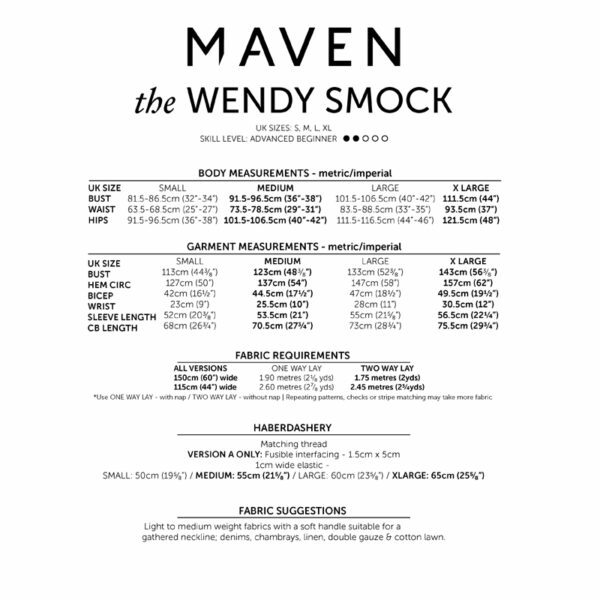 Light to medium fabrics with a soft handle suitable for gathered necklines. Denims, chambrays, linen, double gauze and cotton lawn.